How to Write a Paper on Franklin Dam Controversy? This controversy is considered to be one of the most prominent environmentalist victories in the history of Australia and the world. In this article you will learn how to write an essay about it. 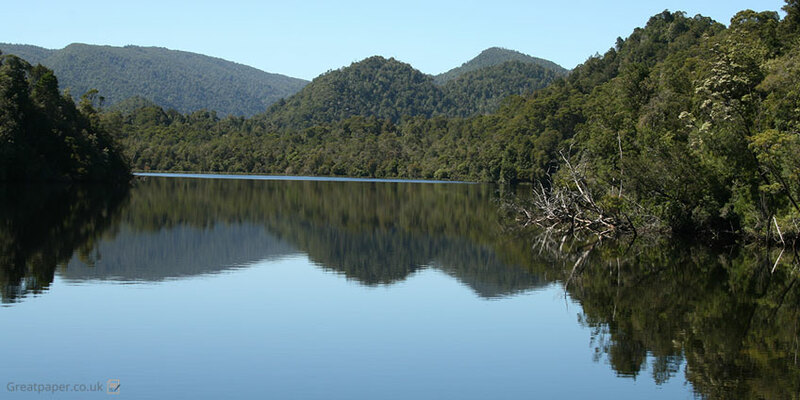 Franklin Dam Controversy erupted in 1978 when the Tasmanian Hydro-electric commission ruled to build a dam on the Gordon river. If it was supposed to be a dam on the Gordon river, then why in the world is it called the Franklin Dam Controversy. The reason being is that in case the dam was to be built, it would first of all flood the Franklin River valley which was adjacent to the Gordon. Once the decision was made, many protests spread across the country. The discontent was brewing. Many politicians as well as political activists were determined to halt the construction or cancel it altogether. However, it was not as simple because the dam could provide an effective and reliable source of energy for people all over Tasmania. The conflict was between those who wanted to preserve the environment and those who wanted to generate more power for Australian homes. The controversy lasted from 1978 till 1983. It started with the decision to build a power plant and ended with a political upheaval and new elections. Ultimately, the environmentalists won and the plant was not erected. However, it is still hard to follow all the events as they can be rather complicated and overlapping. When in 1978 the plan for a new plant was drafted, it only outraged few environmentalists and aboriginal people who knew the value and importance of the place. However, the general public was yet to find out about the conflict and its significance not only for Australia, but for the world as a whole. At the same time as the solution was passed in regards to the new plant construction, the archeological findings in the area started to emerge. Nonetheless, it was not until 1981 that archeologists realized the significance of their own findings. It turned out that those tools and bones they excavated belonged to people who lived there 20 000 years ago, or in the Ice age period. At that time there was no Tasmania – just a huge Gondwana supercontinent – a home to miscellaneous species, plants and, surprise, early aboriginal people. The archeological findings attributed cultural importance to the site. After the elections the new Labor party-dominated government cancelled the construction, even though in 1981 referendum in Tasmania the majority of people supported it. Thus, the government was sued for trespassing their powers and intervening in state matters, but the High Court ruled in favor of the Labor party’s decision. The most critical factor in that resolution was the cultural and historical value of the site, not the desire to preserve the environment. Even though it was not the politicians who ultimately saved the delicate ecosystem of the Franklin river valley, it is important to account for their side of the story in your paper. At the time of the controversy, Malcolm Fraser from the Liberal party was the Prime-Minister of Australia. However, the controversy destroyed his political career as well as his party’s dominance. In 1983 after a mishap decision the Liberal party was superseded by the Labor party with Bob Hawke as the Prime-Minister. This mini-coup was quite interesting, as it happened due to Fraser’s own political miscalculations. When the Liberal party won most seats in the Senate in 1983, Fraser thought that perhaps the danger from the Labor party was not all that imminent. He called for a preliminary election for the new PM, but he forgot to coordinate it with his party’s nominee – Bill Hayden. Hayden resigned before he could run for the post. Thus, a more popular representative from the Labor party – Bob Hawke – ended up having no competition. It is quite interesting to note that not all those who protested the plant’s construction shared the same stance in regards to the issue. For instance, there existed heated debates between the archeologists and the conservationists. The archeologists wanted to continue excavation in order to uncover even more ancient relics, tools, bones etc. The conservations, on the other hand, wanted to prevent the excavation from damaging the ecosystem of the Franklin river valley. The compromise has been reached eventually, as both sides recognized the legitimacy of the other’s arguments. Thus, the excavation resumed, but it was much regulated this time, so that to eliminate any disturbance in the ecological system of the area. It demonstrates that it is crucial to form a compromise sometimes to attain a common goal. Even if you have somewhat different views, clinging to your opinions can do more harm than good when there is a need to work together. Archeologists and conservationists managed to unite their efforts and reached their goal. More than 50 000 artifacts and tools were uncovered in the process making it one of the most abundant archeological sites in Australia. However, even though this discovery is critical for the entire world, it held a special meaning for the aboriginal people. It was the aboriginal people’s bones which were found in all those caves and valleys. It was their rich history which was revealed after months and years of excavation. This event not only shed light on the origin of these people, but also helped them understand deeper their cultural identity. Moreover, it instilled them with the feeling of pride. The fact of the matter is that those early settlers survived in the Ice Age. It was the period when the central Tasmanian plateau was fully covered with ice, thus, making it a truly inhospitable and barren area. However, despite all the difficulties, those people not only persevered, but developed a beautiful culture. It made the aboriginal people proud of their origin and attenuated an inferiority complex that, unfortunately, many of them still experience. There’s a trick to include some information from conclusions into introduction to an essay. Of course, this is just a one-time event in the history of the Earth, but it can teach humanity a valuable lesson. Despite all the odds, it is possible to win against money and power if you just fight for your beliefs hard enough. Australian people have shown that it may be possible to stop climate change and the imminent destruction of the planet if enough reasonable people become active and adamant about their beliefs. The Franklin Dam could have destroyed the pristine virgin area which is included in the UNESCO World Heritage list. It could have disrupted the Tasmanian ecosystem, leaving another violated and abandoned spot on the planet’s surface behind. However, thanks to the vocal politicians, passionate protestors, clever archeologists and determined environmentalists, the construction was stopped and the aboriginal culture and history preserved. Thus, it is important to fight for the cause you believe in, even if it is big corporations and powerful individuals you are fighting against.